Some Android devices have a special driving mode baked in. 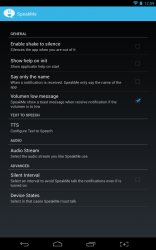 Google Text to Speech is also included with the Android OS. That being said, it’s always good to have an alternative or two to choose from. One of the best features of those unique modes (text-to-speech and driving) is that your device can read text content out loud, or more specifically announce notifications so that you can keep your hands free. 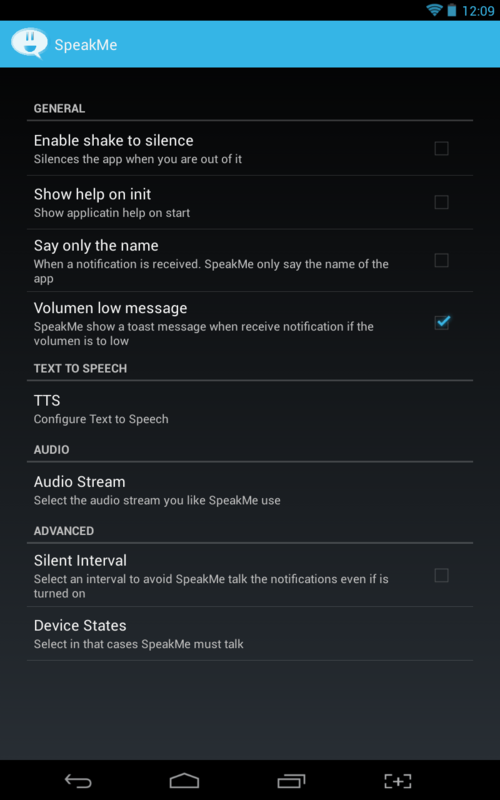 SpeakMe is a free Android application that uses TTS (text-to-speech) to announce notifications. Most importantly, you can control which notifications are announced and which are ignored. SpeakMe isn’t just a notification announcement tool, it allows you control over what notifications are announced, that way you can keep the most important stuff at the forefront. For example, you can setup SpeakMe to announce only text message notifications and ignore all others. The very first issue that I noticed, is that a lot of the text is misspelled and grammar usage is poor. If all of the other features work fine than this problem is hardly a dealbreaker, but it is certainly worth noting. If you have an older handset that for some reason doesn’t have a text-to-speech library, you can download one when the application first starts. It will also take you through a quick tutorial that details how to use SpeakMe. The interface is incredibly simple. There’s a button to start the service, and there’s another button to purchase the pro version of the app. 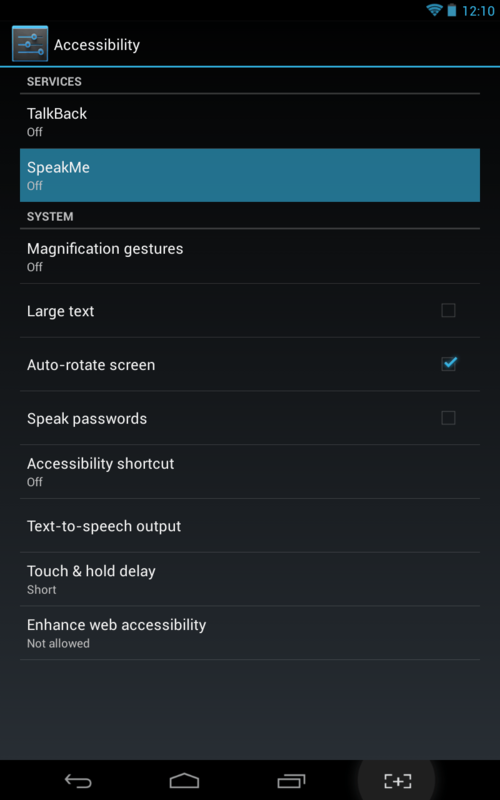 Before you start the SpeakMe service you have to enable it in the Android accessibility menu. The application will direct you to the proper settings menu, so you don’t have to worry about getting there. Once SpeakMe is activated in the accessibility options, you can start configuring notifications. Configuring each installed application is easy, and there’s a specific menu for customizing notifications. 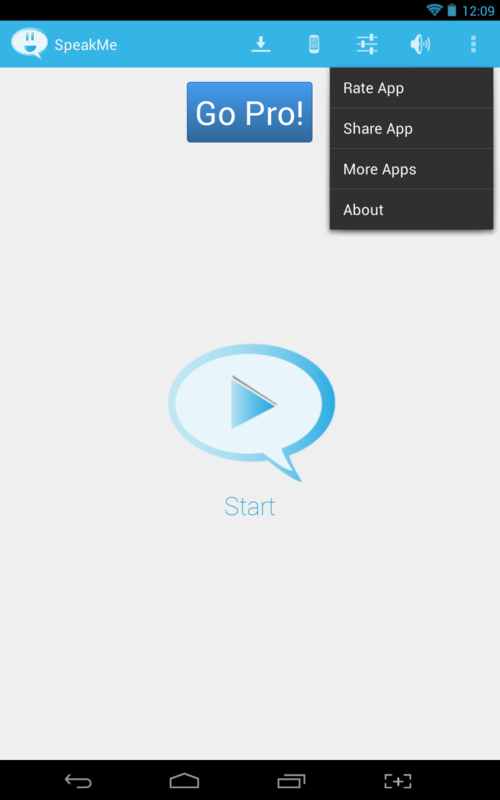 When you navigate to it, you will see a complete list of installed apps on your device. A single check box allows you to enable or disable notifications for a particular app. Once notifications for an app have been enabled, you unlock options to specify a delay in seconds. It goes without saying, the delay will hold off the notification announcement for the specified period of time. For example, if you set a delay of ten seconds, then when you receive a text message it will wait ten seconds before announcing the appropriate information. If you’re worried about people around you hearing personal information, you can setup SpeakMe so that it only announces the name of the application that has a waiting notification. This saves you the embarrassment of having your dirty laundry aired out when you’re in public. A unique shake to silence function, allows you to shake your device to disable or enable the service. 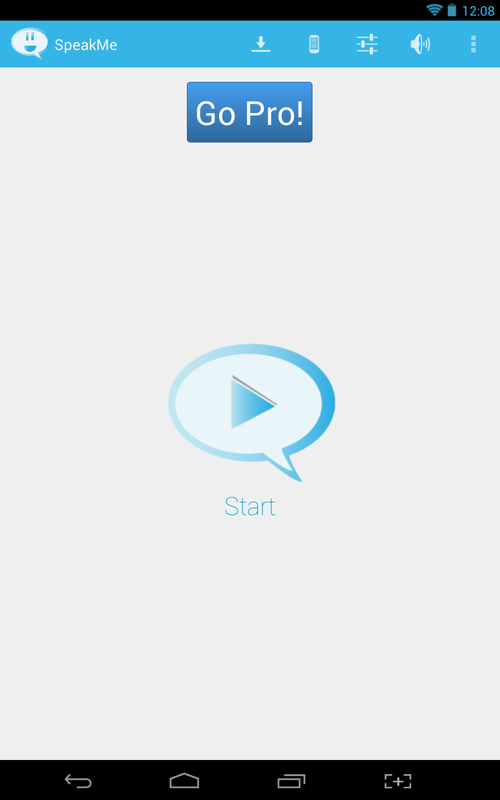 The settings menu also includes an option to select the audio stream used for announcements (music, notification, alarm), device state behavior (headset on/off, screen on/off), and a user specified silent interval. If you setup the silent interval, you can specify a period of time where the application will remain silent even when activated. The latter option is great if you have daily meetings at work during a certain time, or something similar. SpeakMe works as advertised, and the announcements and voice options are pretty much the same as the vanilla Android text-to-speech notifications unless you use another TTS engine. What makes this application different from the stock functionality or the various driving modes installed by manufacturers, is the fact that you can configure individual apps. With the stock apps, the phone generally announces every notification you receive or none at all. With SpeakMe you can pick and choose what alerts are announced. For reference, SpeakMe uses nearly 25MB of RAM while running. SpeakMe is essentially a third party text-to-speech engine which announces (reads) any notifications received by the device. 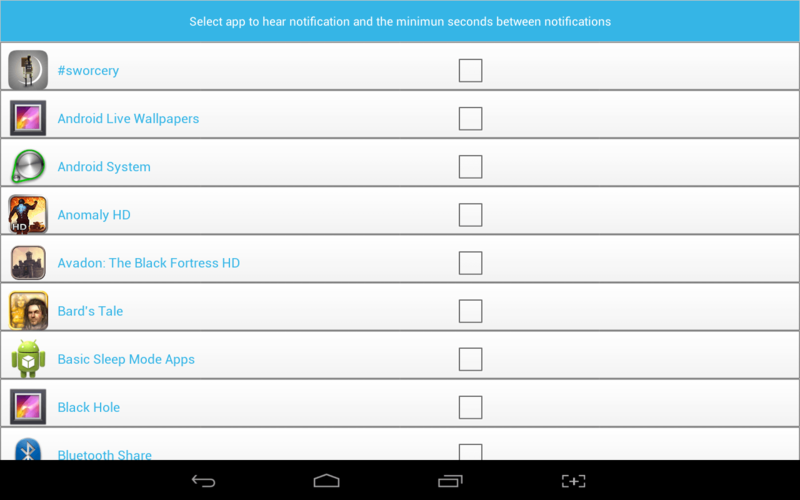 Unlike some other similar services, you can specify what notifications are announced by setting up individual apps. For example, if you only want the phone to announce text messages, you can enable just the related app. If you’re afraid personal information will be announced, you can even set SpeakMe to just vocalize the name of the application associated with the notification instead of reading the actual message. It’s a free application, and there are no advertisements to bother with. The developer does offer a pro version for $0.99 that includes a plethora of improvements and additional features. That being said the free version of the app works just fine. Overall, if you want to use an app that allows reads out loud the notifications you want, then SpeakMe is a viable option.